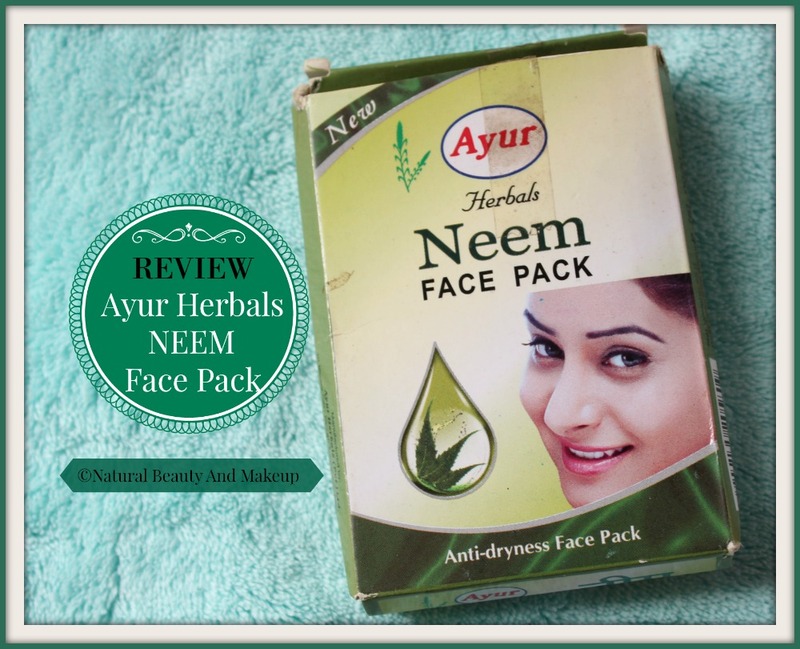 Ayur Herbals Neem Face Pack is an anti-dryness face pack. 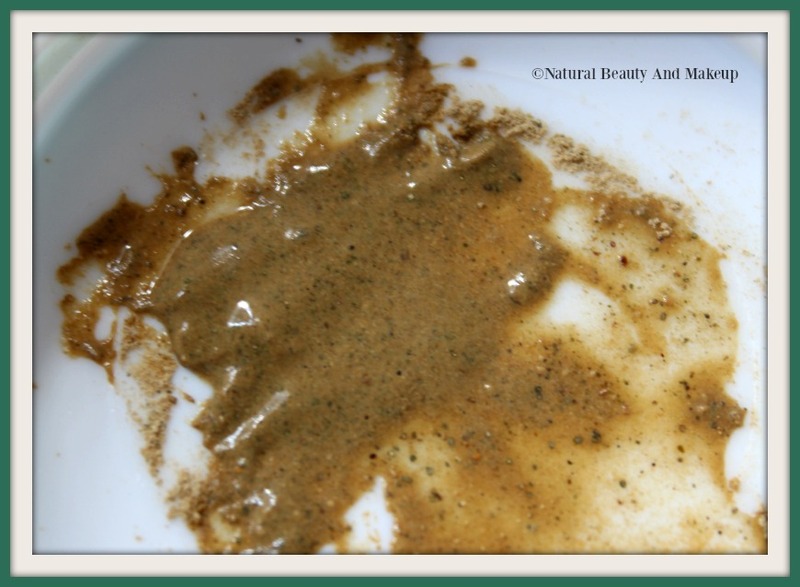 Mix 1 tablespoon of Neem Face Pack with water or Rosewater to make a paste. Apply it evenly on the face and neck. Allow it to dry. Wash the face with cold water. Neem is a natural antiseptic. It soothes skin and heals eruptions like pimples and blackheads. 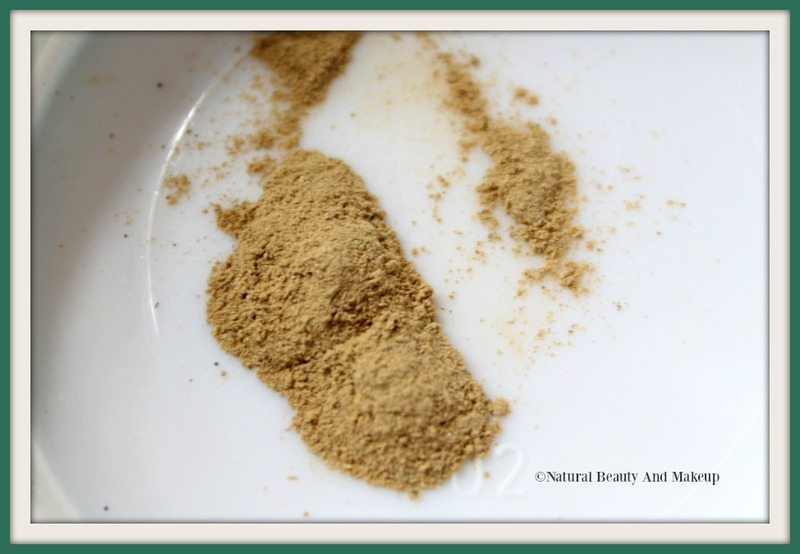 Fuller’s Earth, Neem (Melia Azadirachta) Leaf Powder, Tulsi (Ocimum Sanctum) Leaf Powder, Zinc Oxide and fragrance. 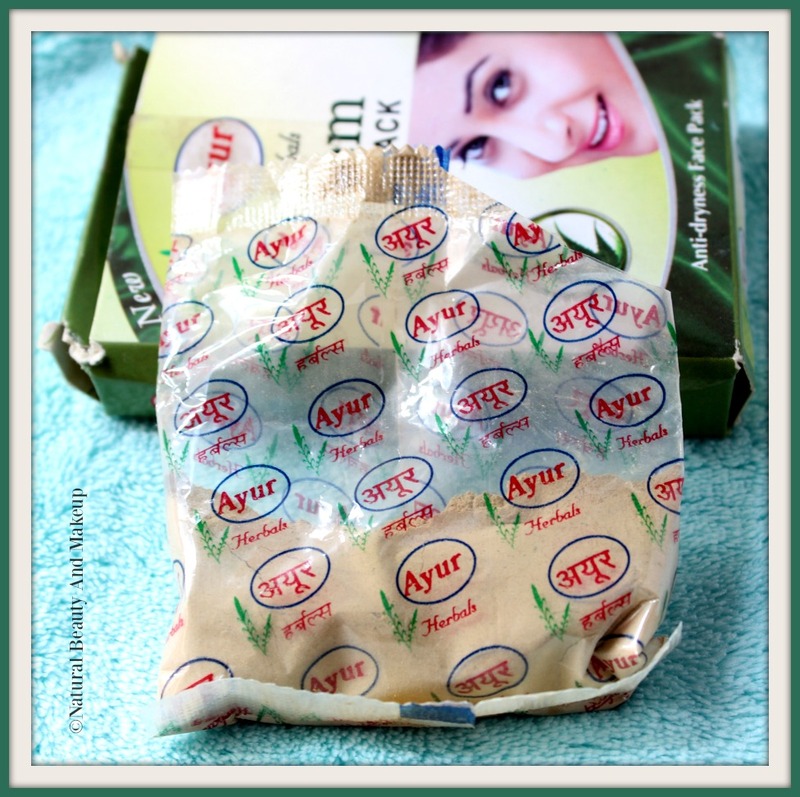 Ayur Herbals brand is known for its reasonable skincare products especially their face packs. 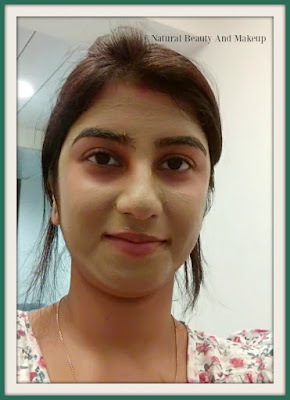 Prior to this Neem face pack, I had used their Sandalwood and Tulsi face packs to reduce tanning and pigmentation because at that time I had no acne issues. I have seen my hostel roommates trying this mask to cure their pimples and other skin troubles. 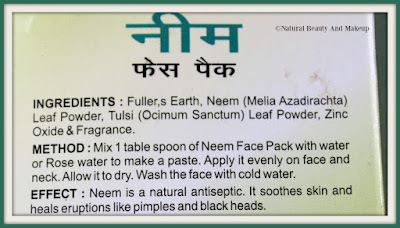 So later in 2015 when adult-acne hit my skin I thought of trying out this Neem face pack and now, it’s a part of my skincare ritual. Ayur Herbals Neem Face Pack comes in a transparent plastic packet that further comes housed in a carton. The packaging is simple and the brand name is written all over the plastic wrap. The product details are mentioned at the packaging cover in both English and Hindi languages. 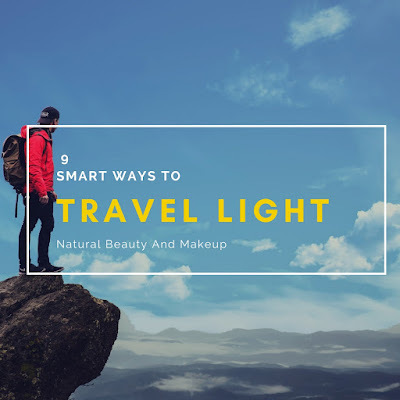 It’s not travel-friendly unless you store the powder in a small airtight container! 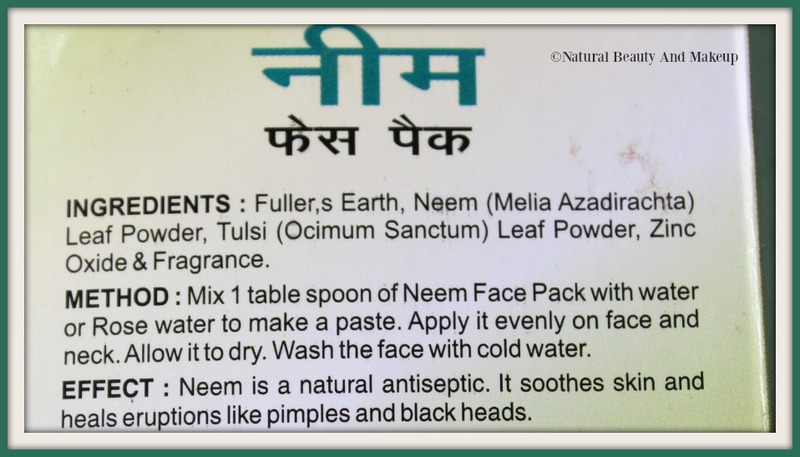 The Neem face pack comes in a powder form which has a smooth texture. The colour of this powder is sort of sand type but when applied on the skin, the shade turns light green resembling NEEM leaves!! It has a pleasant fragrance and is not overpowering. To cover my entire face and neck, I mix 1 tablespoon of Neem Face Pack Powder with the Dabur Gulabari Rose Water. Since this is a powder, you get to create your own consistency for this mask, I prefer thin consistency for easier application. I leave the mask for around 7-10 minutes, once dries I rinse it off with cold water followed by applying toner, sheet mask (not often) and moisturizer. In order to reap the most benefits of any face pack, I love to add a few drops of lavender essential oil or Tea Tree/Rose EO to it! When applied, initially it imparts a tingling sensation to the skin; no worries, that means it is working! The mask should be applied liberally to the face as sometimes I have noticed that it dries quickly on certain areas whereas remains wet on other parts. It takes a great effort to remove this mask, nevertheless afterwards, my skin feels soft, clear and refreshed. The presence of powerful Neem leaves, Tulsi (Basil leaves) and Fuller’s Earth powder in this face pack aid combat acne, detoxify & soothe the skin and prevent it from further breakouts. It doesn’t irritate or dry out my skin and controls blackheads to a good extent. Although this mask does a great job of preventing the acne, it doesn’t do much for the blemishes or adding brightness to the skin! Makes skin fresh and clean without being overly stripped! If left on the skin for more than 10 min, it starts cracking. Not good for the wrinkled skin! The medicinal plant Neem is well-known for its antiseptic and other therapeutic properties. Hence I never give a second thought while trying any natural or herbal skin care product containing Neem as its main ingredient. Overall, this Ayur Herbals Neem Face Pack does what it claims and so far this is the cheapest yet amazing face pack I have tried. Best suited for normal to oily skin types and good for dry/combination skin types. I love this face pack to bits so I keep buying it hence would highly recommend it to those who are on a lookout for budget-friendly, gentle face pack to treat their acne issues. 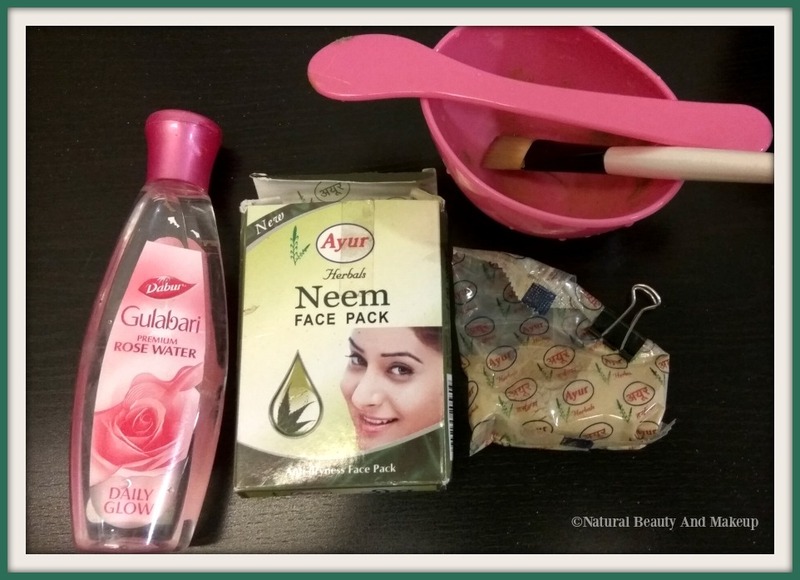 Have You Ever Tried Ayur Herbals Anti-Dryness Neem Face Pack? If Yes, Then Do Share Your Experience With Us In The Comment Section Below! I was looking for a good neem facepack for my acne issues. I must give it a go. This face pack sounds really good! Lovely review Ana! I had that tingling with another brand of face pack. I sort of panicked because it literally bit into my skin. Thank god, no adverse effects, still, I doubt I will use it again. 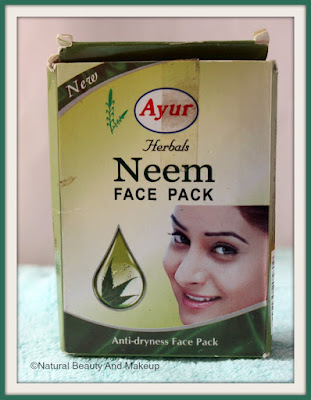 Its sort of similar to this neem pack, mix and apply. Did work good on you, for me, such packs seemingly eats up my moisture. So, I don't think I will reach out such packs. Good review... the price is also awesome. 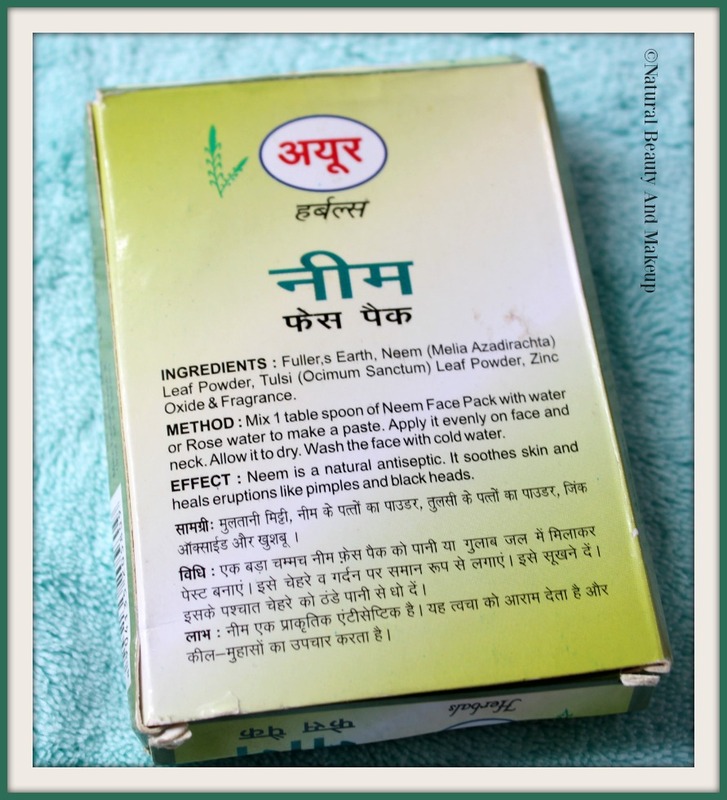 Neem is super for most of the sun Lekin issues. This looks almost like an all rounder.